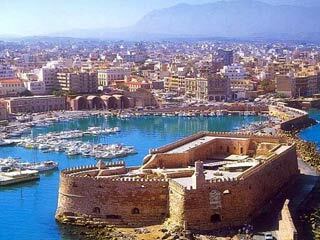 Heraklion is the largest urban centre in Crete, the capital of the region and the economic centre of the island.On the northern coast of the prefecture of Heraklion visitors will discover various attractive coastal resorts full of all kinds of accommodations (of all categories) and wonderful beaches which can be reached by bus from Heraklion City.On the southern coast of the prefecture beaches with serene atmosphere and crystalline waters can be found.Some of the most famous beaches are listed below. An organized beach, covering a large extension of sand, with crystal waters. 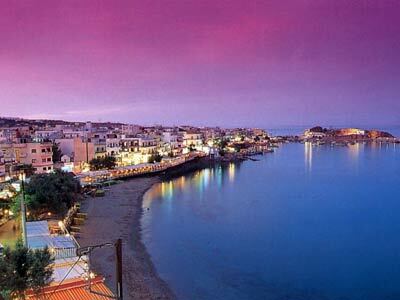 Situated 6 km west of Heraklio, it is swarmed with tourists in the summer. 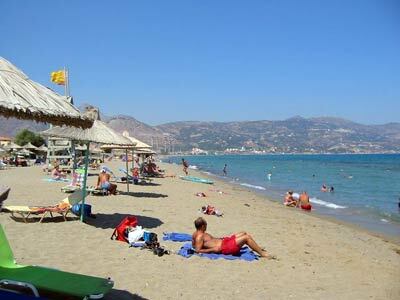 A beautiful, long, sandy beach, located 7 km east of Heraklio, it attracts many tourists in the summer. 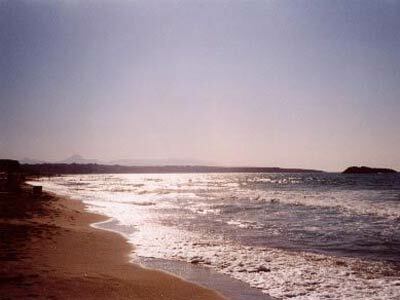 A wonderful beach with thin, white sand, 13 km east of Heraklio. The area is known for its north-west winds, which make the place ideal for wind-surfing. 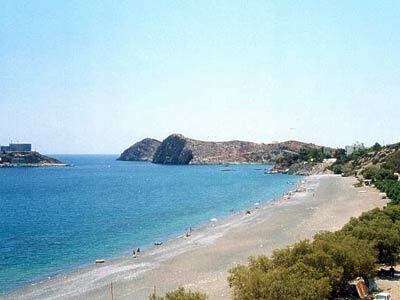 16km east of Heraklio there is the romantic harbor of Lygaria in the gulf of Agia Pelagia.The area is well developed with modern hotels, restaurants, bars.Here you can enjoy a very crowded sandy beach. 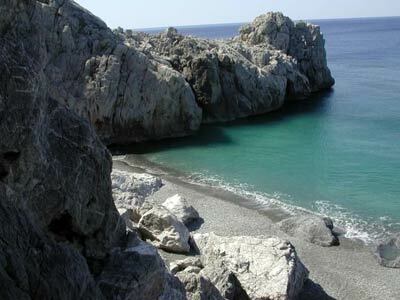 An organized beach before the settlement of Agia Pelagia, situated 24 km north-west of Heraklio. It attracts many tourists in the summer. 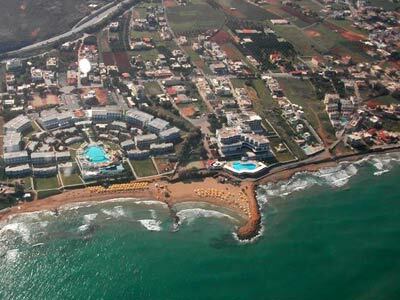 Limenas Hersonissou is 27km east of Heraklio.It is a coastal,tourist resort,one of the most highly developed in Crete with luxury hotel units, shops, restaurants, bars and country tavernas.The sandy beach is very crowded. 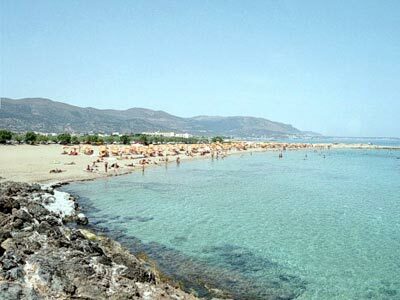 One of the most crowded sandy beaches in Crete, it is situated by the highway, 33 km east of Heraklio. 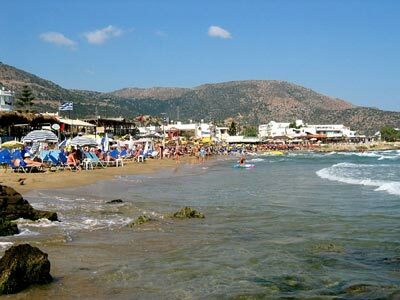 34km east of Heraklio is Malia.The village of Malia situated on a beautiful, sandy beach in a marvelous valley full of bananas, oranges and garden vegetables.The town has recently developed into a modern tourist town with hotels of all sizes, shops, bars and country tavernas. A beautiful beach with crystal waters, situated 70 km south-west of Heraklio.It is famous for the caves inside the rocks which were the legendary gathering place of the hippies, in the 1970's. 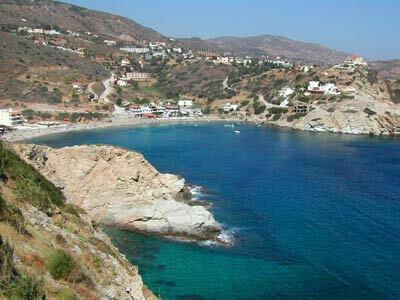 Lendas is 73 km southeast of Heraklio ,where you can see the famous church of Agios Ioannis and enjoy a peaceful beach. 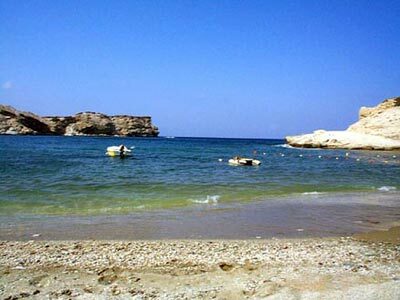 A wide, sandy beach, also known as Makria Ammos, west of Levina and the cape of Lenda, 82 km south-west of Heraklio.